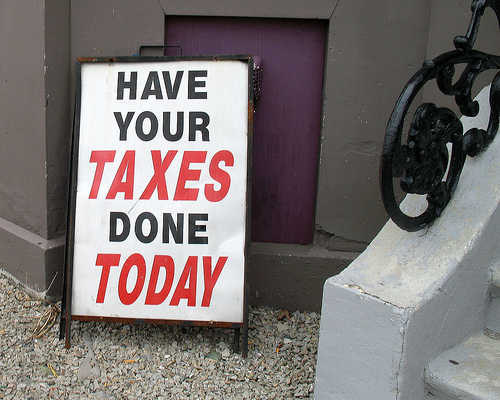 FREE tax preparation and FREE e-filing at Consumer Credit Counseling Service of Orange County, located at 1920 Old Tustin Ave., Santa Ana. Please call 714.547.2227 X118. Tell them Stella sent you! 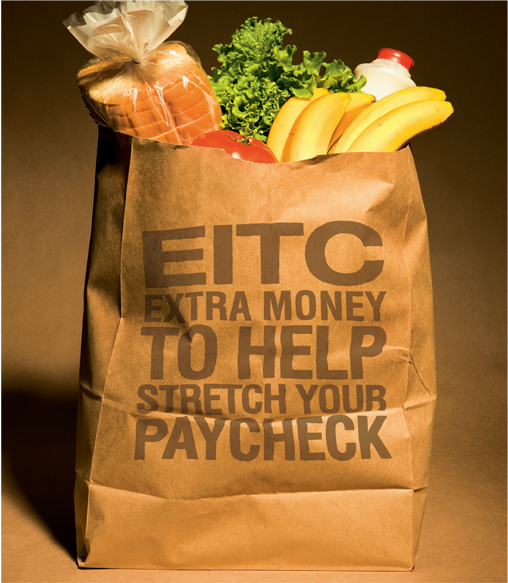 This offer is limited to households with a total income in 2009 of less than $48,279.00. The Santa Ana Girls Softball League will be hosting their 3rd Annual Pancake Breakfast on Saturday, February 13th! The breakfast will be held at beautiful Carl Thornton Park 1801 W. Segerstrom Santa Ana from 8am to 10am. This park has a great playground and a beautiful lake! After your $5 breakfast, which includes Pancakes, sausage and a drink stay and watch a good game of softball. Our league is a non profit recreational league that serves Santa Ana girls ages 4-18. 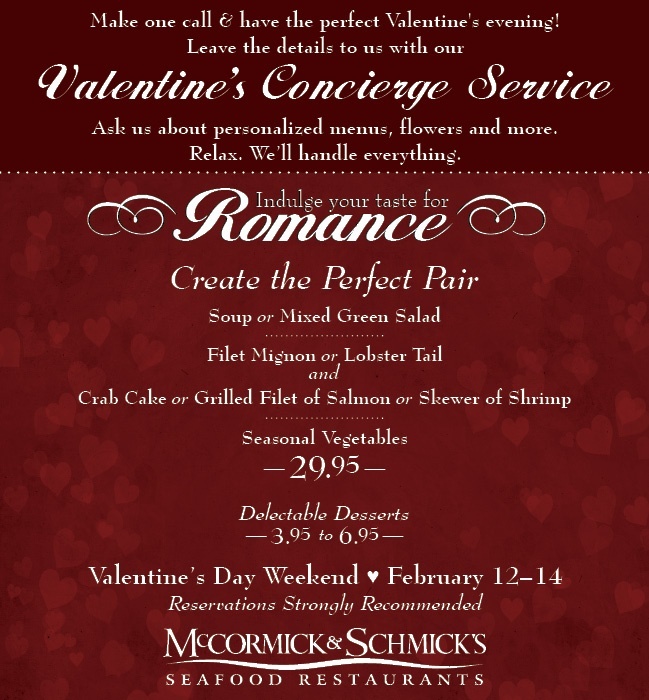 McCormick & Schmick’s has announced their Valentine’s Day menu – and it looks like a great deal. For $29.95 you get your choice of soup or mixed salad; filet mignon or lobster tail; and a crab cake or grilled fillet of salmon, or skewers of shrimp, plus seasonal vegetables. SACRAMENTO, CA– Creating more California jobs – with a big emphasis on new Orange County jobs – will be the focus at an upcoming legislative hearing to be held in Sacramento by State Senator Lou Correa (Orange County). 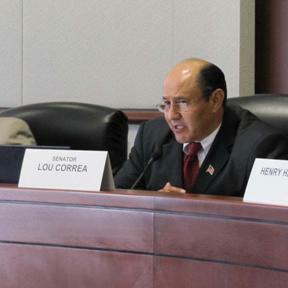 “With one of the highest unemployment rates of any state in the entire nation, we need to think of creative and innovative ways of bringing new jobs to Orange County and to California overall,” said Senator Correa. 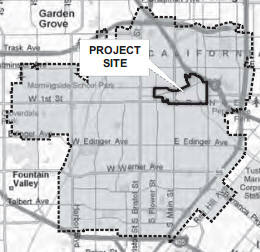 There are big changes planned for the City of Santa Ana. City officials recently debuted their plans for the “Transit Zone” which was formerly called the Renaissance Plan area. “The new development rules at the heart of the city’s proposal would clear the way for more than 4,000 new homes and some 387,000 new square feet of shops and eateries. It would create a new high-rise district near the train station, with towers as tall as 25 stories,” according to the O.C. Register. Hands Together Santa Ana has helped more than 1,000 children in their first ten years to achieve literacy and academic readiness. 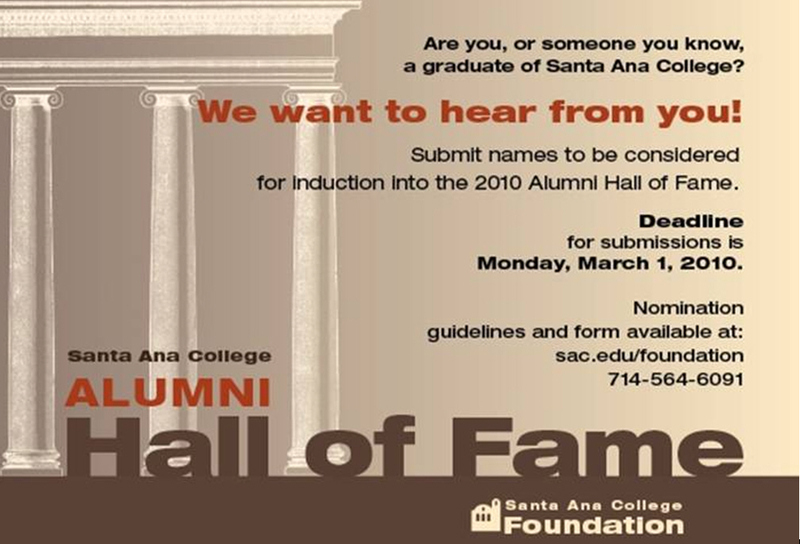 Join them as they celebrate their record tenth year of service and lay a foundation for thousands more young people in Santa Ana. With a leg up in preschool, many of these young people will avoid becoming part of the high school dropout population. Celebration of Leadership: A Tribute to Dr. Edward Hernandez, Jr., the Chancellor of the Rancho Santiago Community College District. Join us! Save the date Thursday, April 29, 2010 6:00 p.m. – 10:00 p.m., at the Orange County Sheriff’s Regional Training Academy, located at 15991 Armstrong Ave., in Tustin. $150.00 per person. Sponsorships, program, and advertising available. 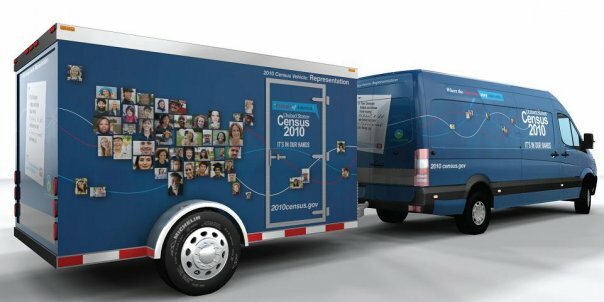 The 2010 Census Road Tour Bus will be here in Santa Ana this Friday. Come on by and experience history! The League of United Latin American Citizens presents “ABC,”a breakfast celebration, featuring guest speaker Senator Joe Dunn (Ret. 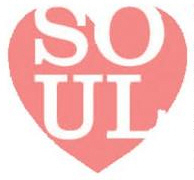 ), on Monday, February 15, from 9:00 am to 10:30 am. The cost is only $20 per person. 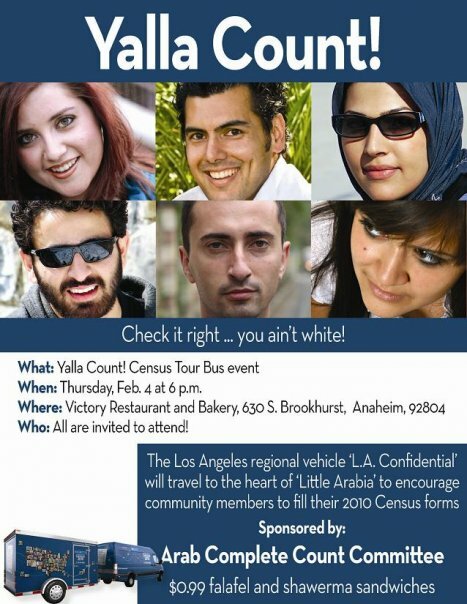 The event will be held at Calamar Restaurant, located at 315 West 17th St., in Santa Ana.